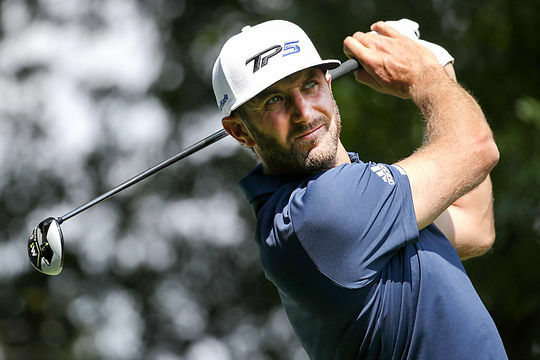 It certainly hasn’t been an ideal start to the ‘majors season’ for Dustin Johnson! After an extremely ill-timed injury that left him watching the US Masters from the couch instead of the course, the world no. 1 is now set to make his return at the Wells Fargo Championship early next month. The event will mark the first professional appearance for the 32-year-old since slipping down a staircase and watching from the house he rented near Augusta National as the Masters title went the way of Spaniard Sergio Garcia in his absence. Johnson had been favoured to win the event until his untimely fall, which injured his lower back and forced him to pull out. Director of the Eagle Point Golf Club, where Johnson will make his return, Kim Hougham is excited to see him back, and is glad that no long-term damage appears to be lingering. “We certainly are excited that Dustin will be joining us is Wilmington in a few weeks,” he said. To date, Johnson’s best finish in the Wells Fargo Championship was a tie for 29th in 2010. With six other top 20 players currently scheduled to suit up for the tournament, Johnson will no doubt be looking to make up for the time lost.